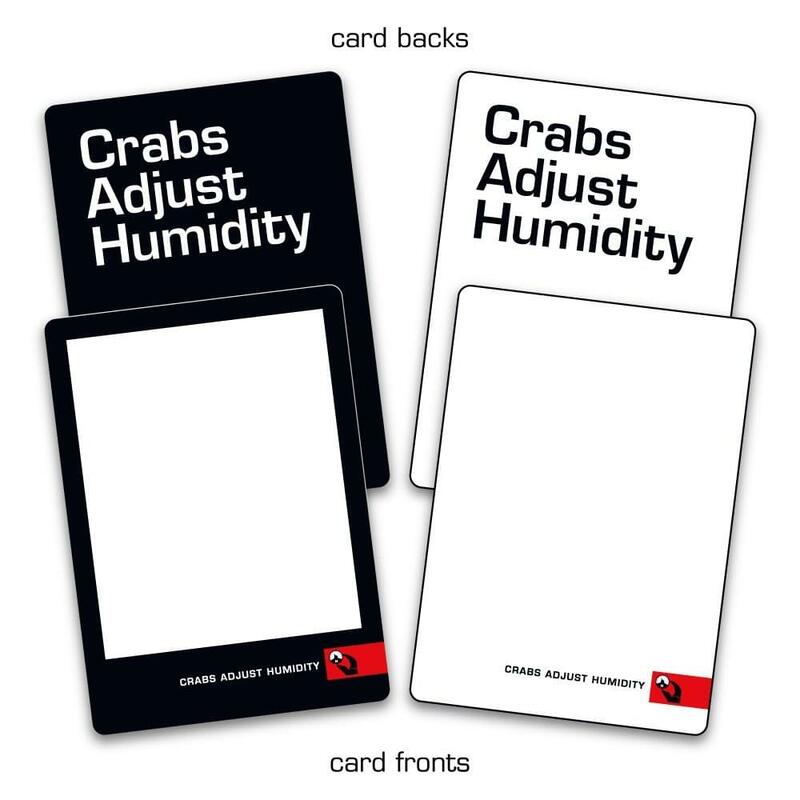 Because you think you're so funny, Vampire Squid Cards presents 56 blank cards with the Crabs Adjust Humidity logo. Since you'll be adding these to an existing deck, no box is included: the deck of blank cards is individually wrapped in cellophane. The cellophane is NOT edible. Discard it after you remove your cards. Or, just throw it on the floor like an animal. 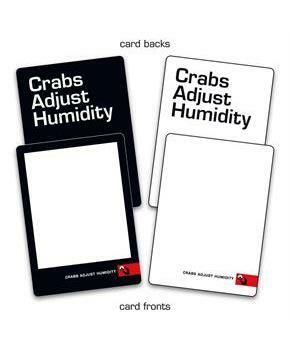 100% compatible with Cards Against Humanity. No actual humor is supplied with these cards, they are blank cards only.